In the past three decades, particularly since the early 1990s, Chinese government has gradually relaxed the restriction on population movement and allowed cities to absorb surplus rural labor in order to benefit urban development (Li 2000, 2003). Although the household registration system (hukou in Chinese) has not been adequately reformed, which makes it difficult for the rural migrants to access the government social welfare and services (e.g., education and medical care) equally in the city, the internal migration in mainland China has become predominantly a rural-to-urban population flow. The fifth National Population Census shows that the proportion of rural-to-urban migrant children under 14 years occupies 14 % of the overall rural migrant population in mainland China (Duan and Liang 2004), and, according to a more recent national census, Second National Agricultural Census (National Bureau of Statistics of China 2008), it is expected that there are approximately 18.2 million migrant children who are accompanying their parents and are living in the urban areas now. Living in city exerts an important influence on rural migrant children’s social development. 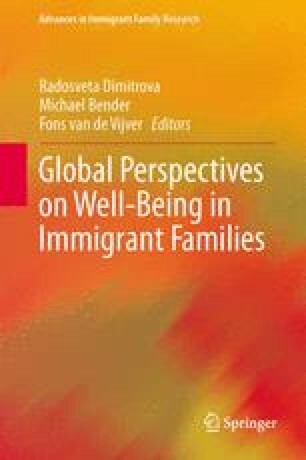 The migration experiences may be highly challenging for migrant children, on the one hand, and it may provide opportunities for them to learn social skills valued in urban society, on the other. Guo, W. (2004). The surprise about juvenile delinquency: 90 % from migrant children. Southern Daily. http://news.southcn.com/gdnews/areapaper/200409030169.htm. National Bureau of Statistics of China. (2008). Communiqué on Major Data of the Second National Agricultural Census of China (No.5). http://www.stats.gov.cn/was40/gjtjj_en_detail.jsp?searchword=migrants&presearchword=National+Population+&channelid=9528&record=2.